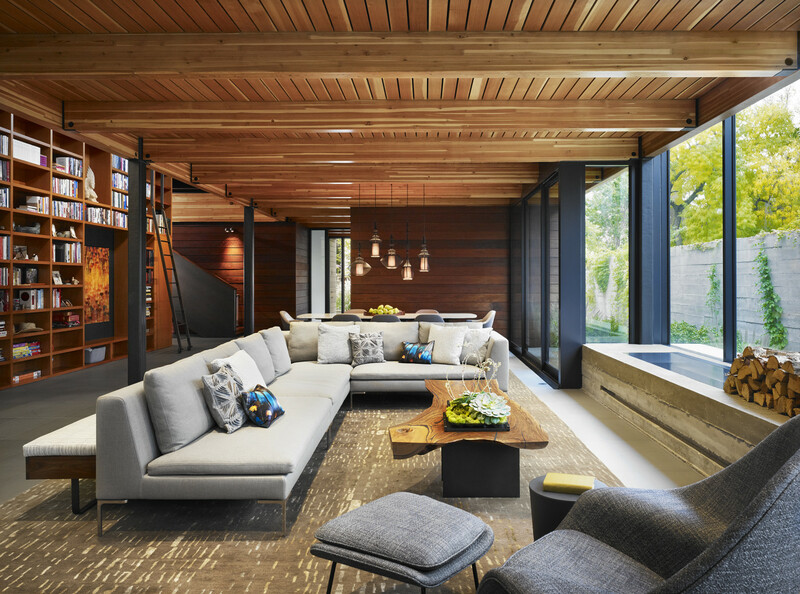 The clients sought a home that balanced an abundance of natural light and direct connections to nature with a need for privacy. 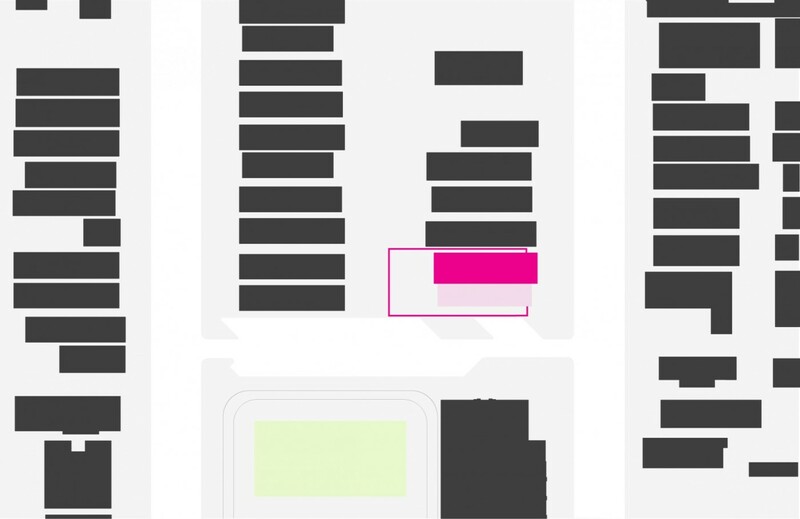 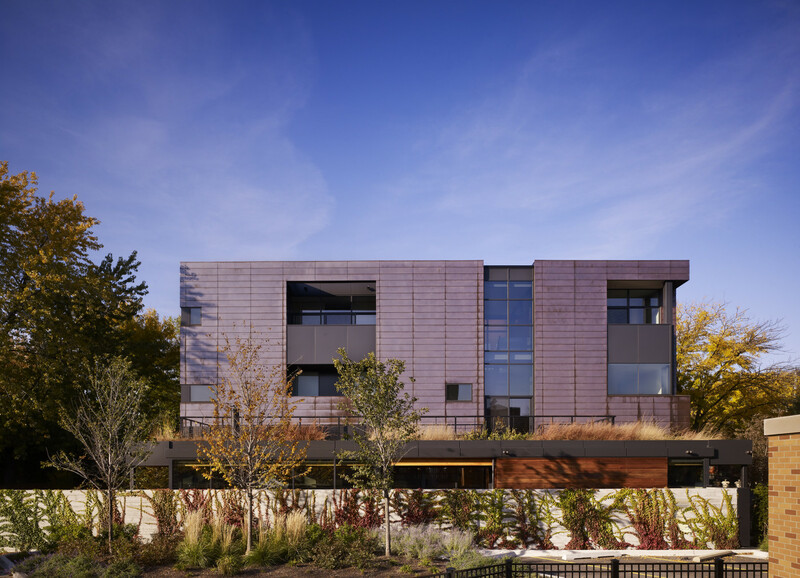 Located adjacent to a schoolyard, the site affords an open southern side yard, unusual to Chicago. 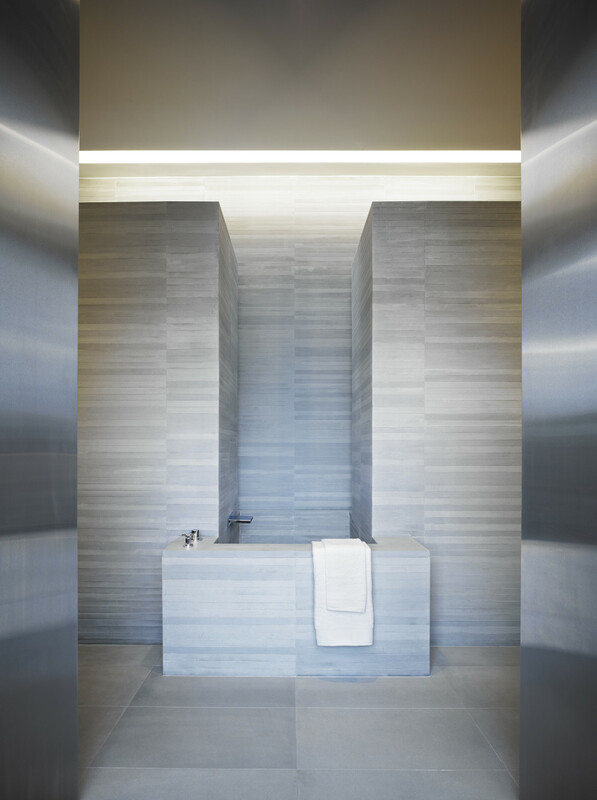 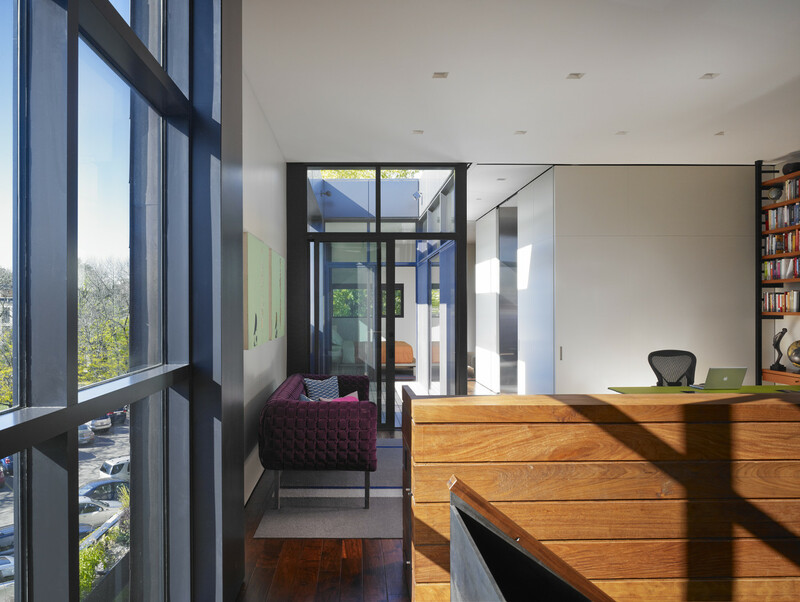 The exposure provided opportunity to access natural light throughout the day while challenging how to achieve privacy. 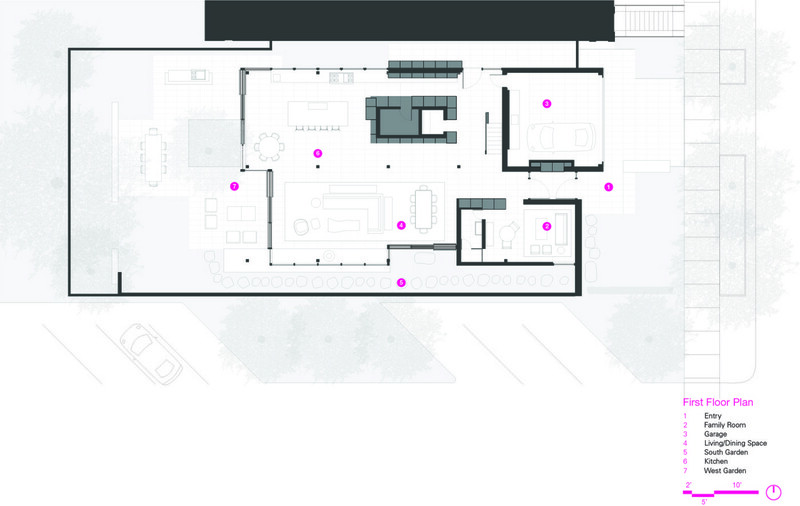 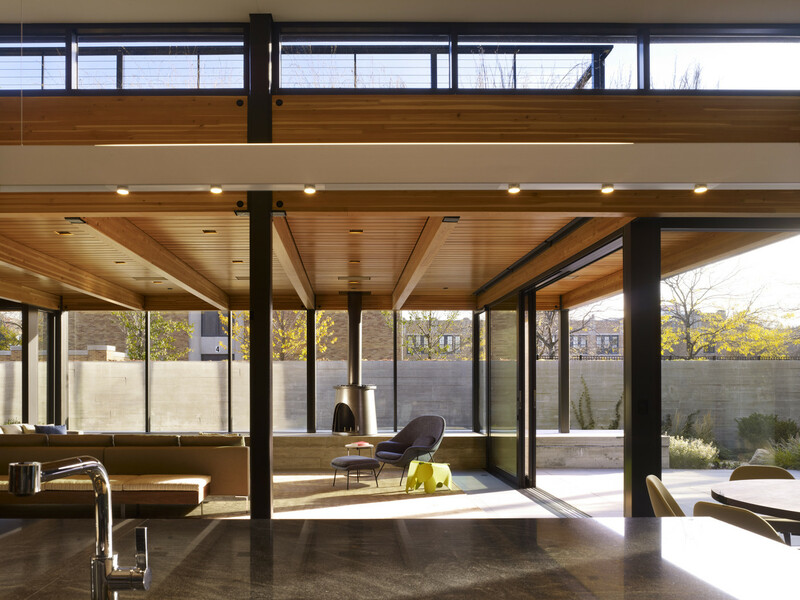 A board-formed concrete wall poured just above eye level encircles the property. 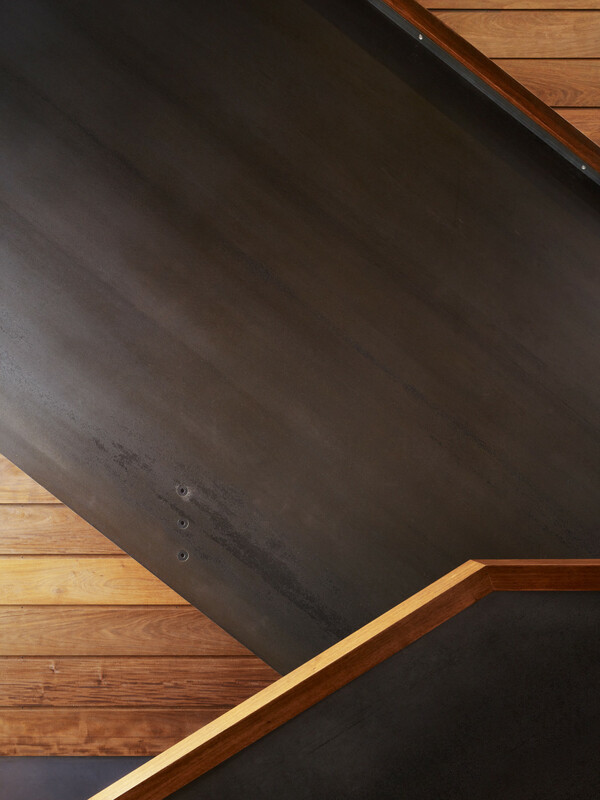 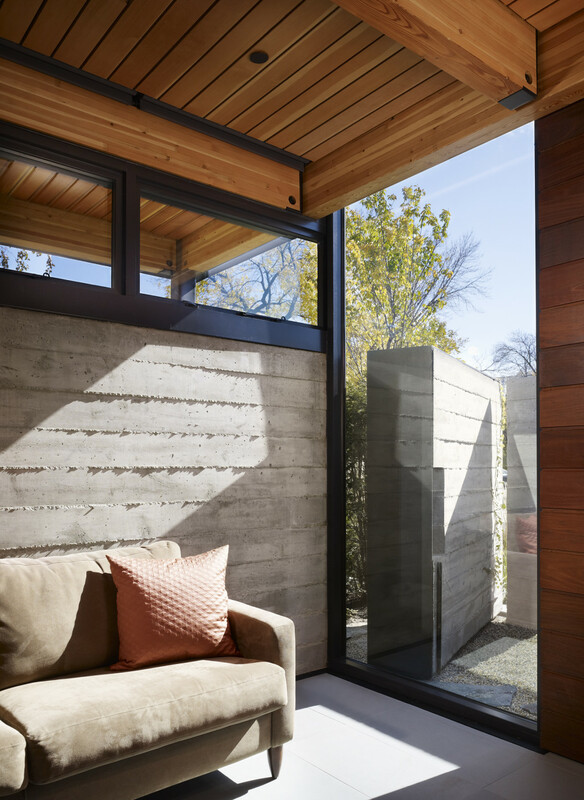 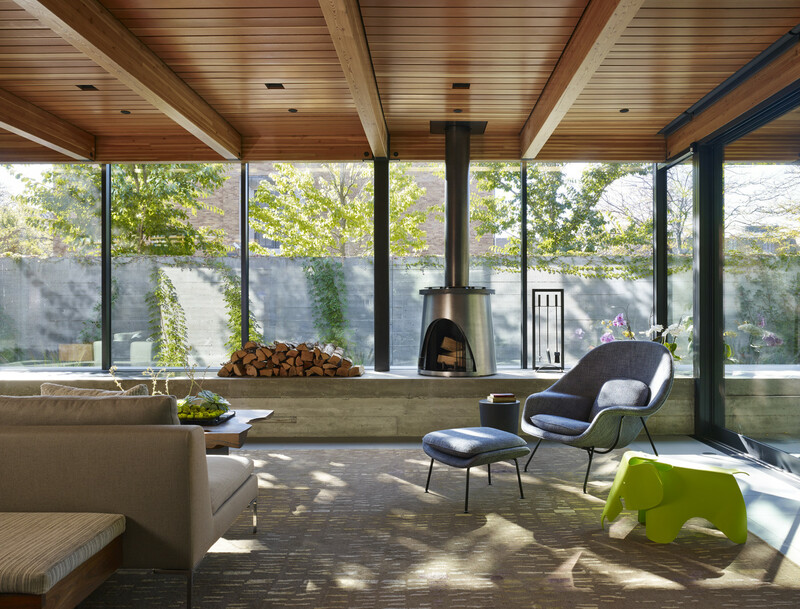 With the first floor set down at natural grade, the textural wall provides complete visual privacy within the garden, allowing the wooden framed interior living space to be enclosed with glass. 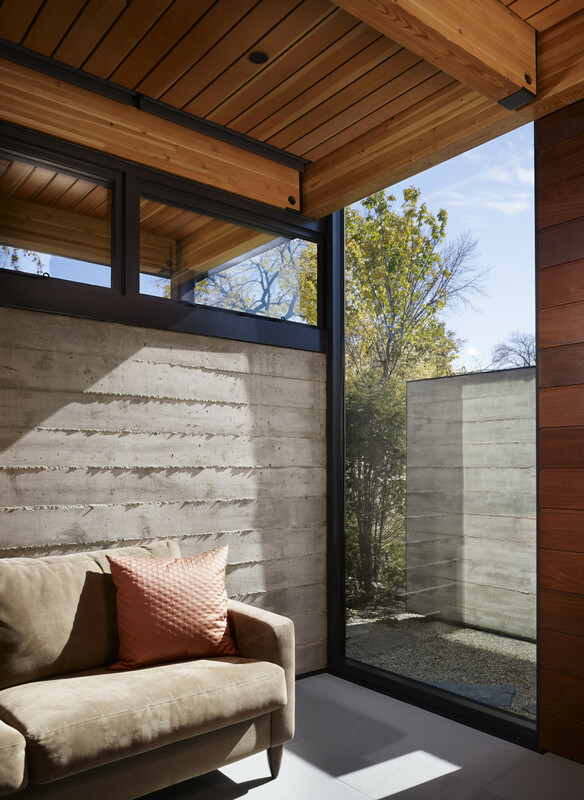 Large sliding doors and a continuous stone floor connect the interior and exterior as a single room. 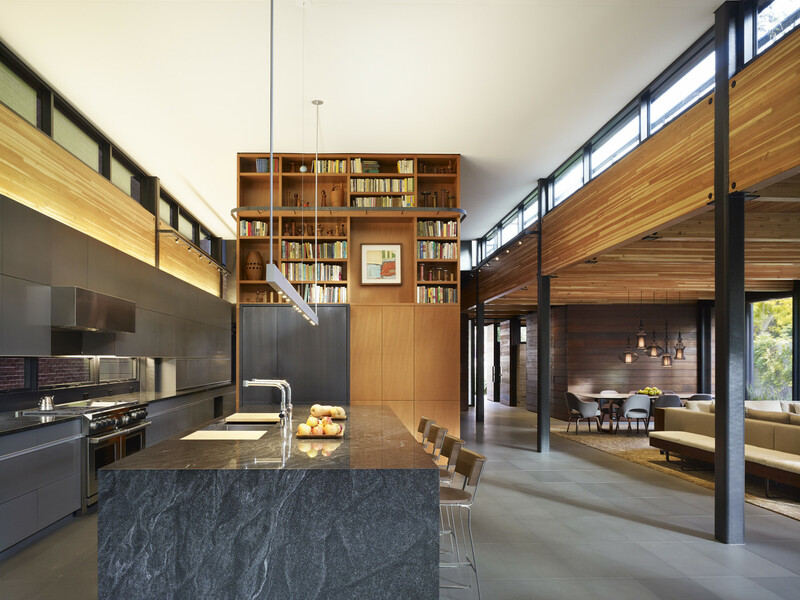 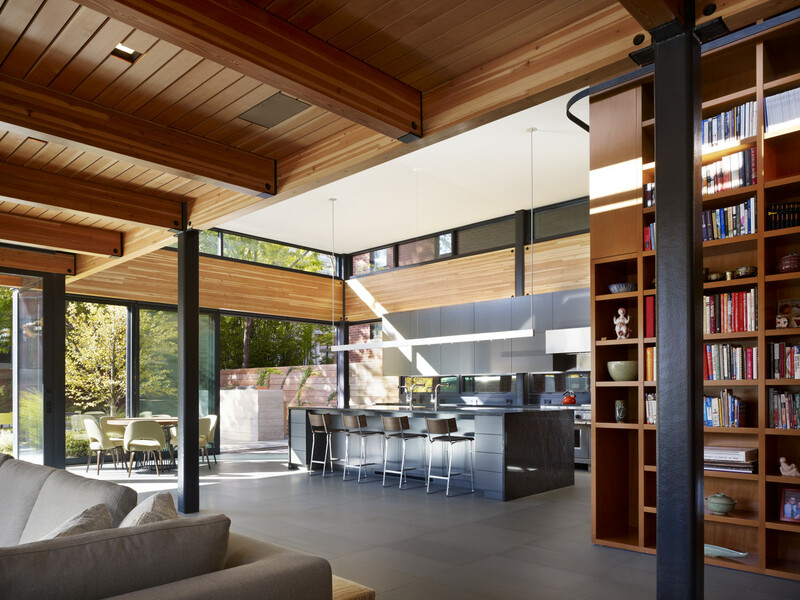 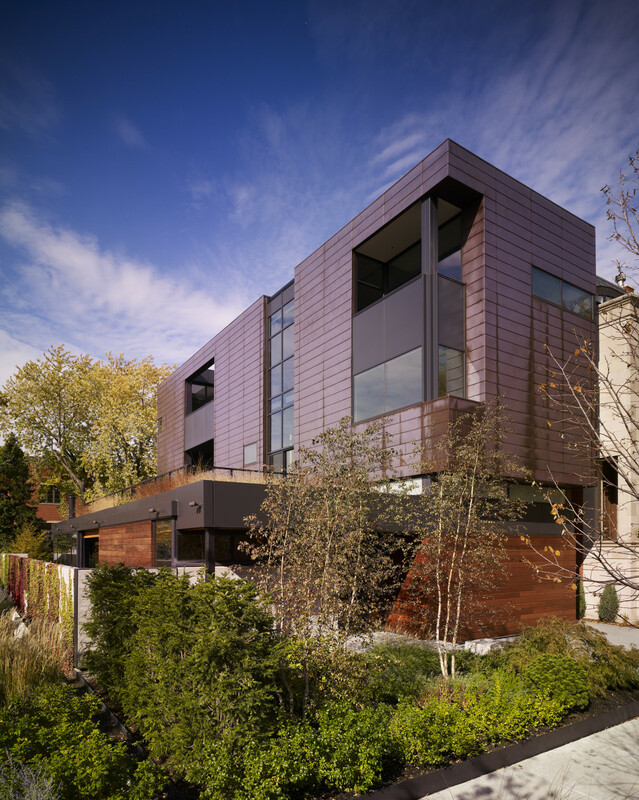 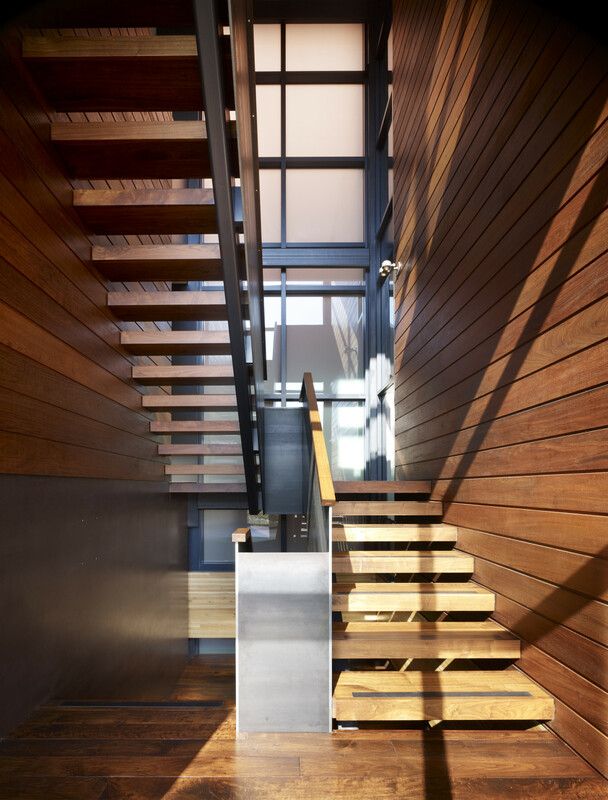 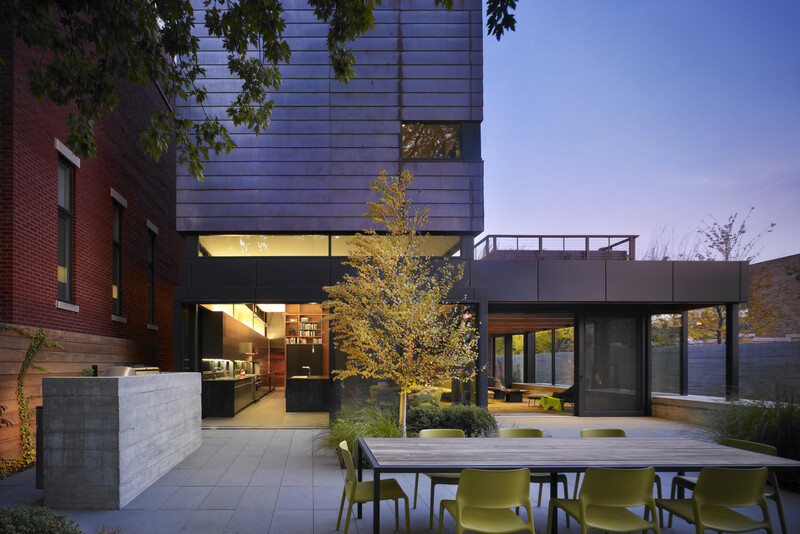 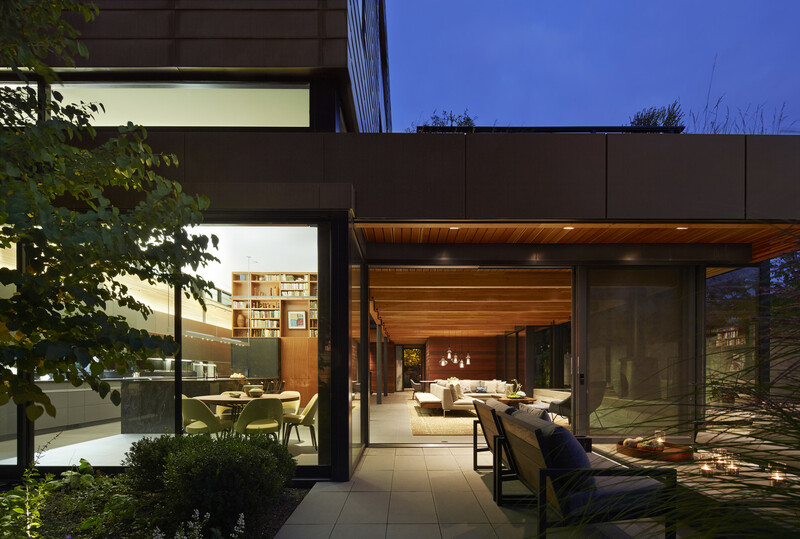 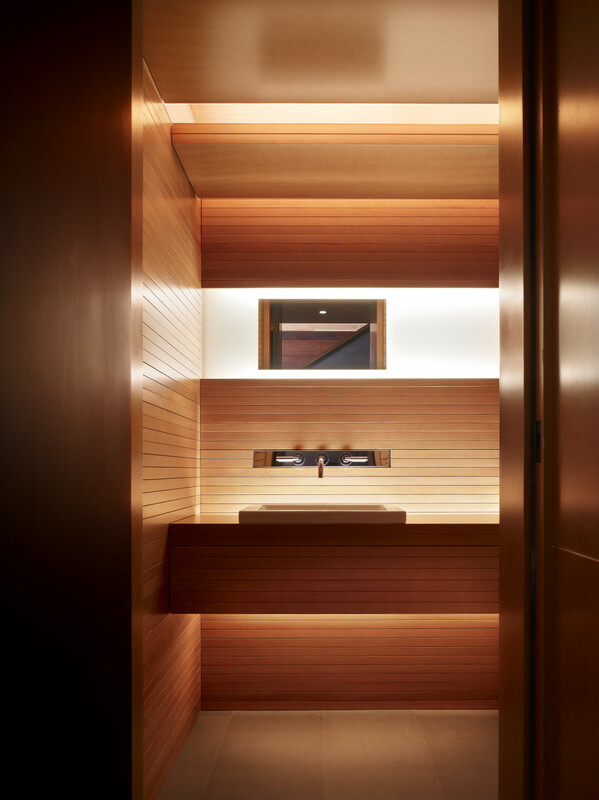 Above the wooden pavilion, a narrow, copper clad volume floats on a clerestory band of windows, bringing light deep into the broad living space below. 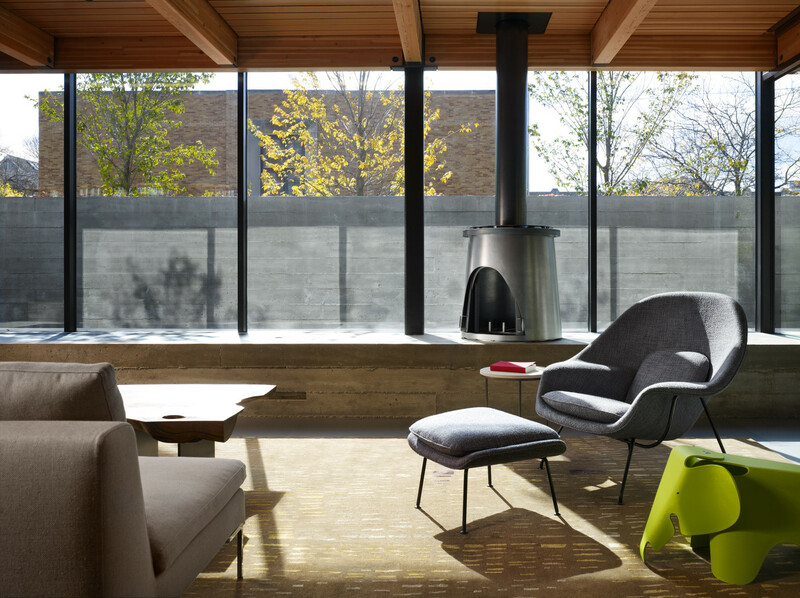 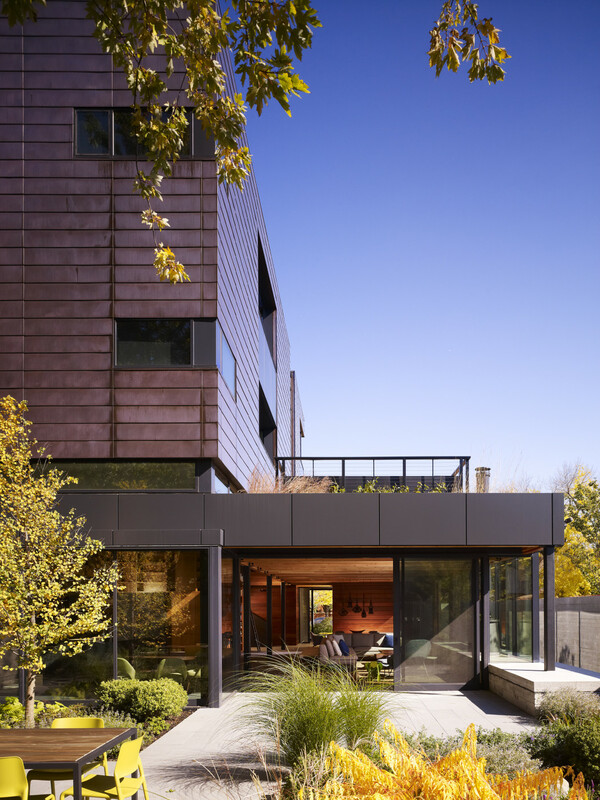 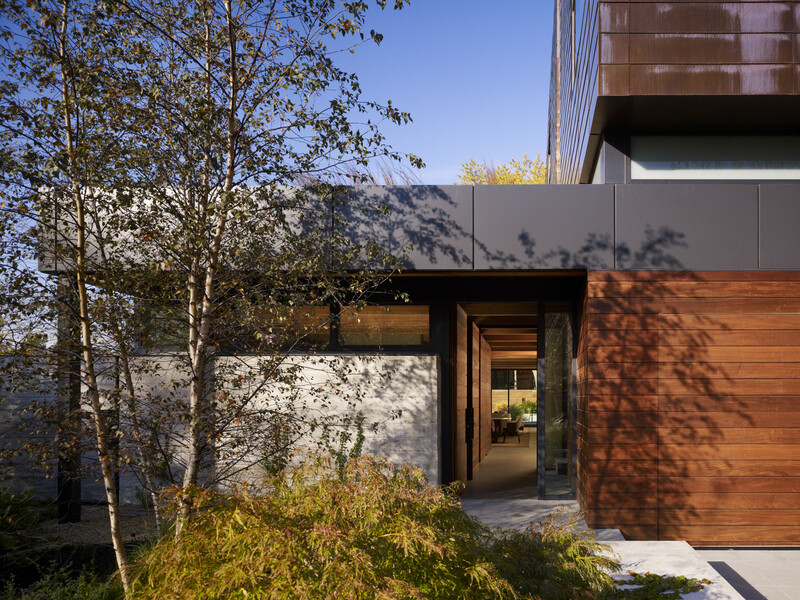 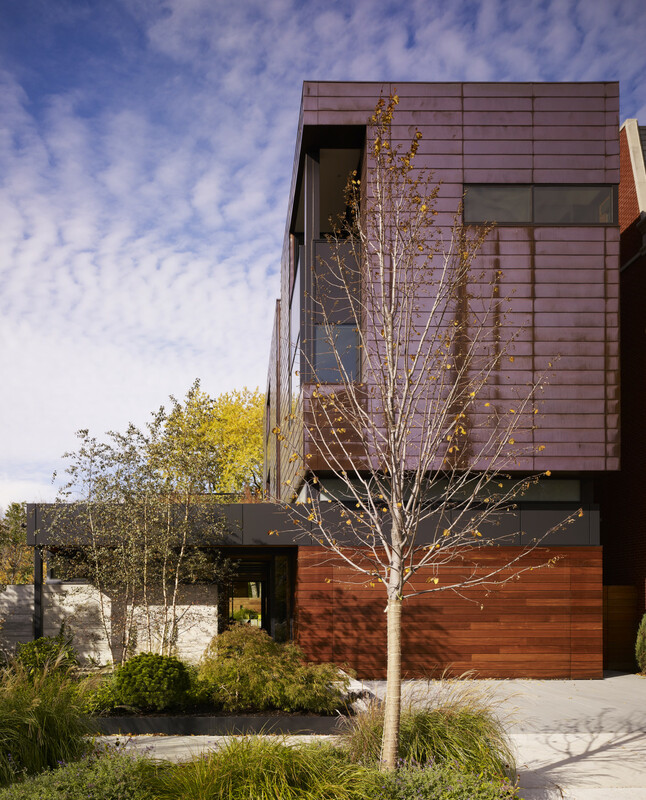 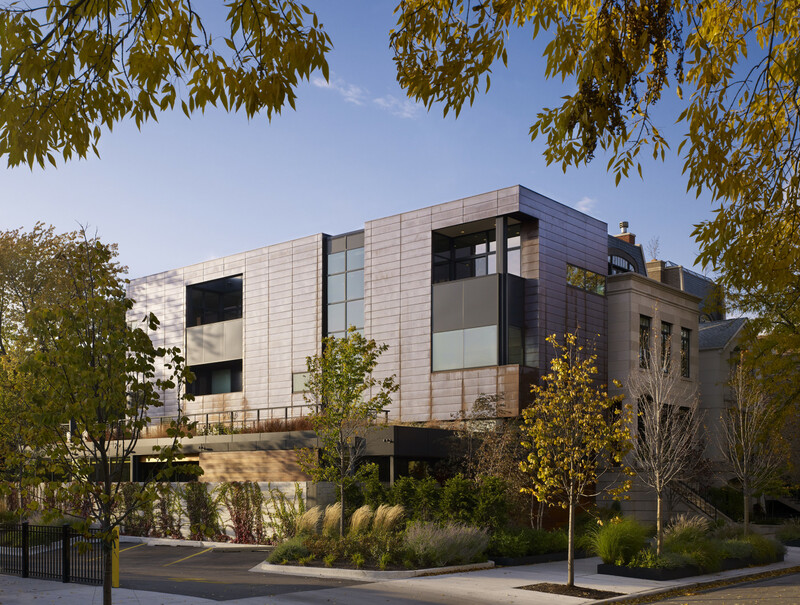 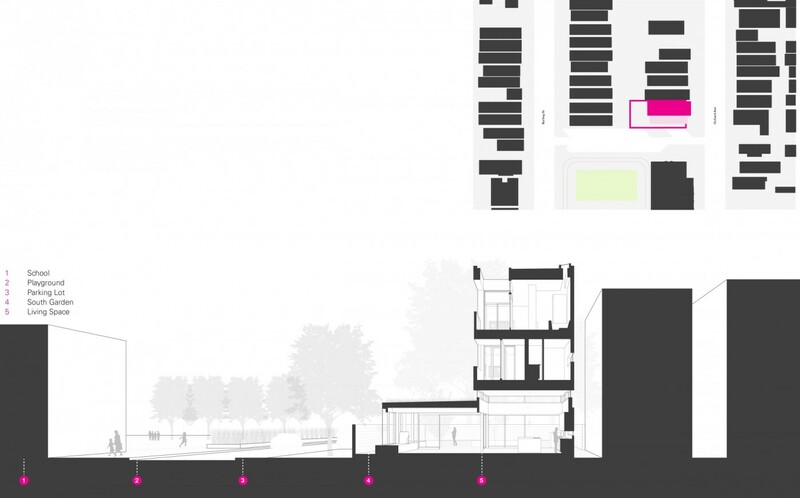 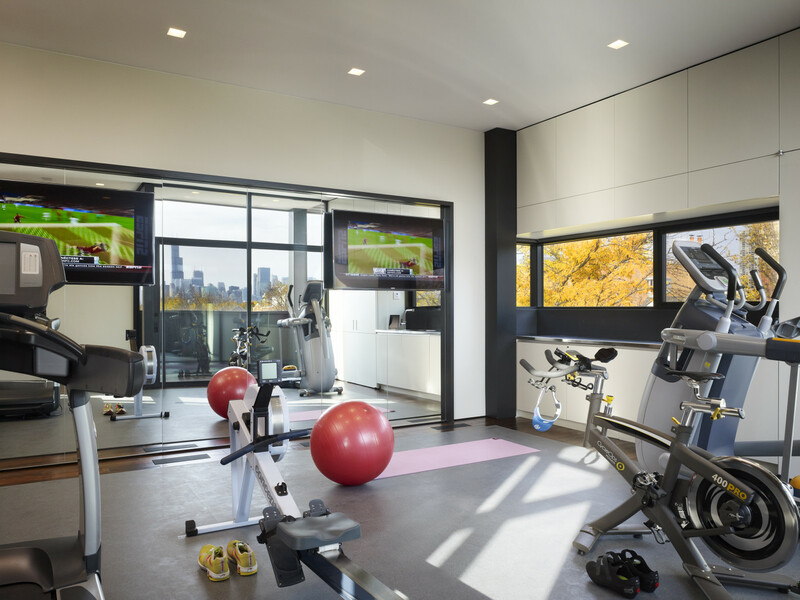 Within the bedrooms, deeply recessed balconies are carved out of the copper enclosure to form light courts that shade the glazing, provide privacy and direct views away from the neighboring school to the distant Chicago skyline and sunset.